This year why not take a trip down memory lane and join in local historical tours in Castlebar or Newport? 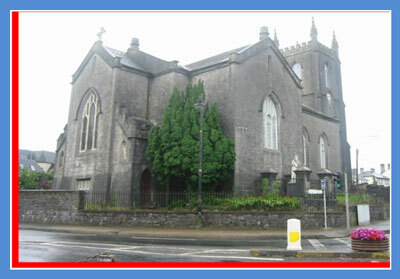 A guided historical walking tour of Castlebar will be held Saturday morning during July and August. Walk will start at Church of Ireland, the Mall, Castlebar at 10.30 am and it is been led by well known historian and guide Mr. Brian Hoban. The foundation of the Land League by Michael Davitt in the Imperial Hotel in 1879. In addition a guided historical walking tour of Newport will be held each Friday evening during July and August. Walk will start at Hotel Newport each evening at 7.30 pm also with Brian Hoban. The foundation of the town for the Quakers in the early 17th century. The return of priceless O Donnell Manuscript to Newport. The history of the Achill railway and the folklore surrounding it. The hanging of patriot priest Fr. Manus Sweeney the 1798 rebellion. The Harry Clarke windows in St. Patrick's Catholic Church. Whether you are a native of the locality or a visitor these tours are sure to be both interesting and enjoyable.